From an early age Jims passion for gardening and horticulture was evident. Much preferring seed catalogues to academic studies his scholarly career was terminated by mutual consent between his father and the heads of both of the schools he attended. Armed with just a certificate in cycling proficiency, he entered the world of horticulture and began training at RHS Wisley. This was to be the start of a career that would span over half a century. Starting at a local nursery, he moved to Croydon Parks, on to the Greater London Council, and ended up with the Royal Parks in London, where he was responsible for Hyde Park, St James Park, Clarence House and Buckingham Palace. He ended his career as the Superintendent of Greenwich Park. He has won eight gold medals at RHS Chelsea and in recognition of his unrivalled contribution to horticulture, in 2006, he was awarded the highest accolade possible in the gardening world, the Victoria Medal of Honour (VMH). He has appeared on TV in a documentary about the World Garden at Lullingstone and recently as the ever popular judge in The Big Allotment Challenge. Jim is a regular radio presenter and appears on BBC Radio Sussex/Surrey Dig It. It is probably not a surprise and it was only a matter of time that it would be recognised that this man would be the subject of a great book. 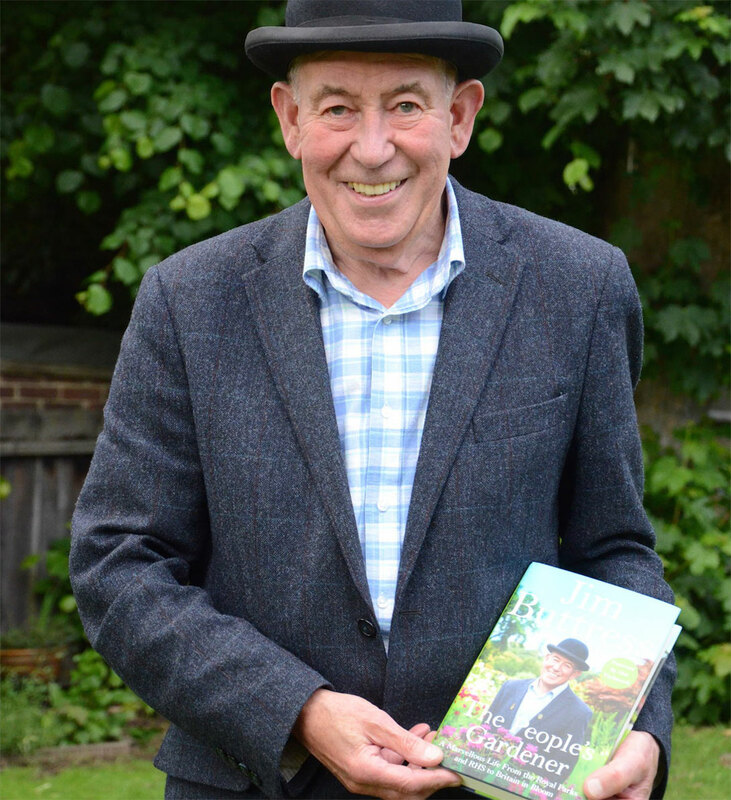 Lo and behold Jim Buttress The Peoples Gardener which was published mid May 2016. Aptly named, his recollections of his lifetime will be avid reading.